"1955 this was the year that myself, Roy Kesterton and Roger Chapman happened to meet at the airport, and we have been friends ever since. For sixty years now I have been one of the 2R's, and enjoyed every minute of this exciting hobby"
PI-C770 Viscount Phillipines Airlines, 1523 / B7 Grumman CS2F-1 Tracker Royal Candianian Navy. May 11 - PI-C770 Viscount 784 Phillipines Airlines - delivery flight. 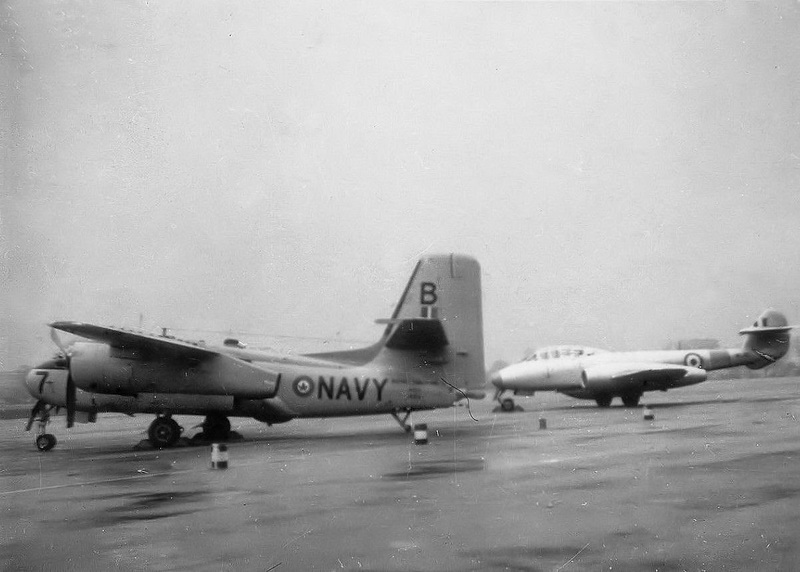 Jul 02 - 4607 PV-2 Harpoon Portugease Navy, flew low across the airfield heading North to Prestwick. 4R-ACI DC3 Air Ceylon, 40514 RB-66B Destroyer USAF, CR-IAC Viking TAIP, YA-AAC DC3 Ariana. F-OBDX N2501 Noratlas 148 Air Algerie, G-APOM DC-6A Eagle, LX-IOA DC4 Interocean Airways. Apr 02 - Open day organised on behalf of Birmingham City Council. 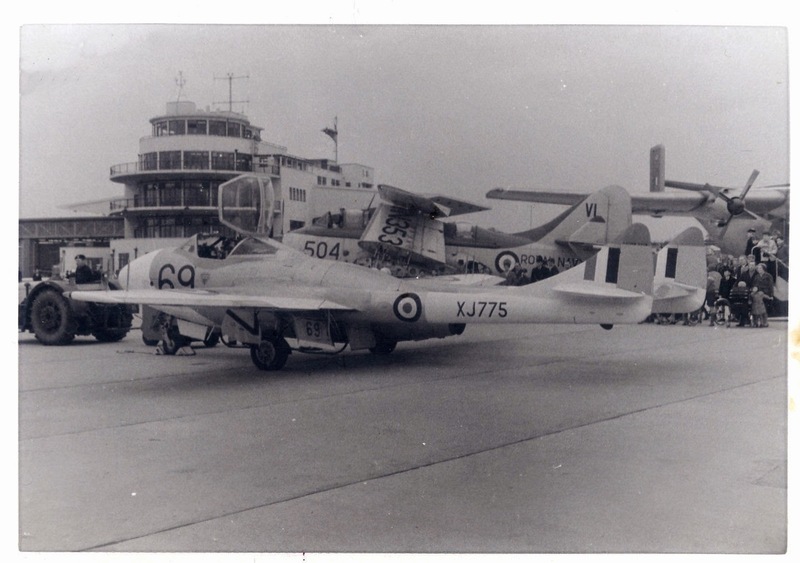 A look back in history at Elmdon airport, Birmingham. 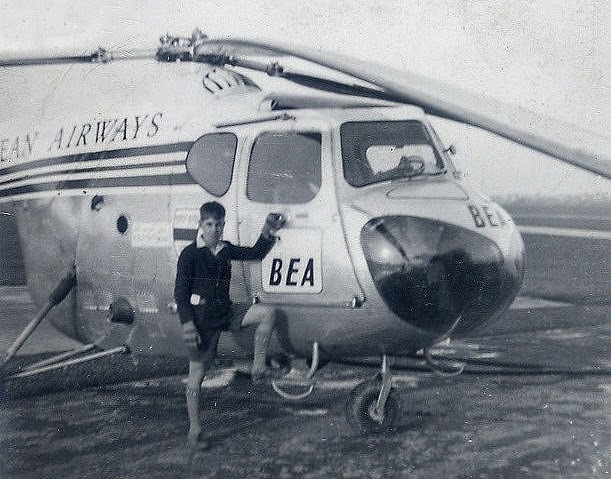 Starting at 1955 and ending at 2010 when the bhx movements blog was started. It has been born from the passion of our more senior members to retrace history. A log of the more interesting movements will be built up, accompanied by photographs. If anyone has old logs and/or photographs and wishes to share them, please make contact with Ian or Mick. We have also added special events, e.g the Kings Cup air race, G8/NATO summits, Ryder Cup Golf, Football finals, Accidents & Incidents to name but a few. Credit to the following publications, 'A celebration of Birmingham International', 'Past, Present & Future', 'Birmingham International Airport'. Also to the various photographers over the years. Acknowlegements: Ian Farquarson, Mick Farley, Roger Chapman, Roy Kesterton, Andrew Jones, Simon Neville, Nigel Osborne, Phil Cross, Peter Collins, Alec Wilson, Simon Butler, Tony Green, Terry Lee, David & Sue Shephard, Coptercrazy, Kevin Farley, David Miller, Tim Newman and to everyone else who has sent in information. 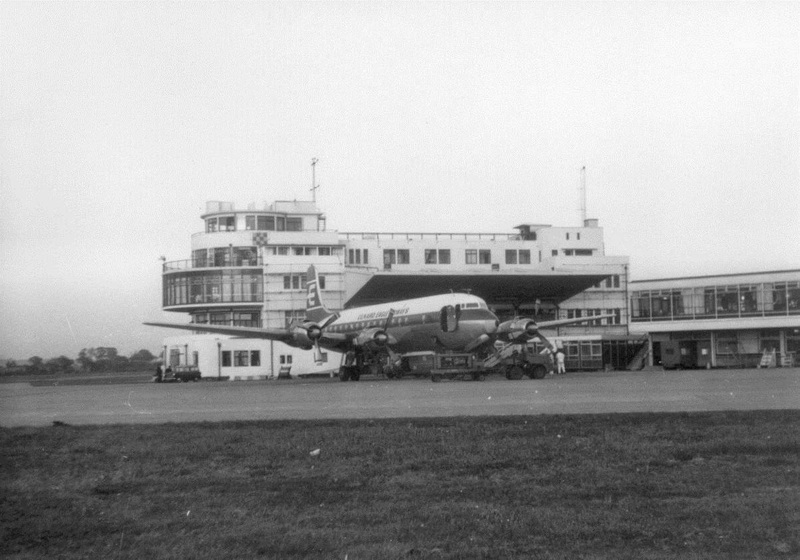 Birmingham (Elmdon) airport opened for business on 1st May 1939. Although 800 acres of land were available to develop the airport only 215 acres were initially used. The cost of buying the land was £130,613, £28,314 for preparing the site, £144,647 for buildings, roads and equipment and £18,861 for lighting. A further £39,181 was expected to be spent on additional land. The whole project was expected to cost £361,816. 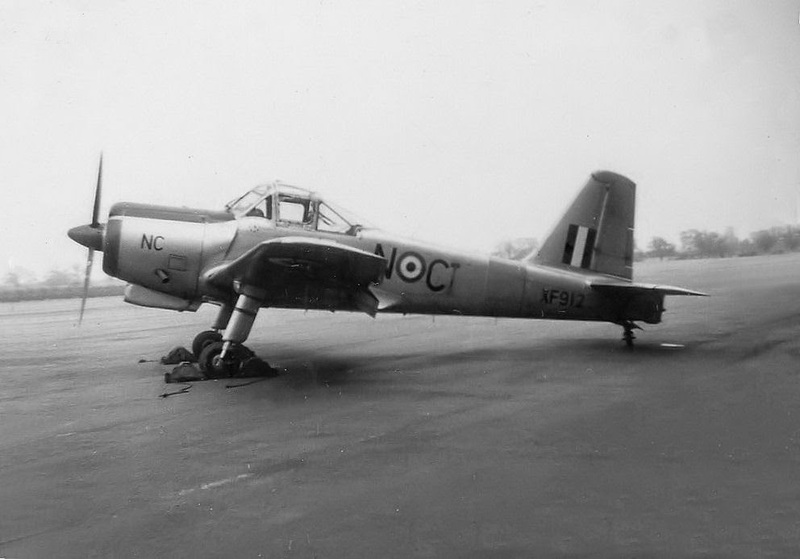 Three grass runways of 3000ft in length plus a fourth at 4,700ft were in use. 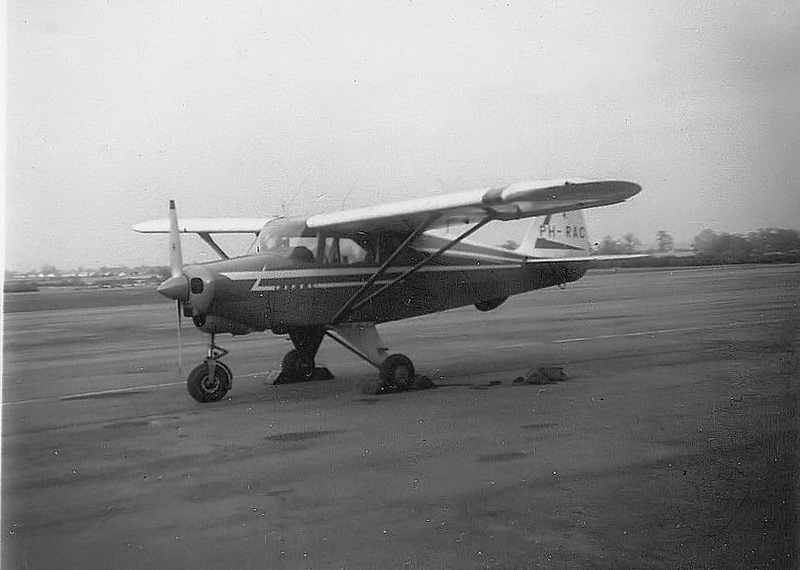 The first arrival was Swallow G-ACXE, the first scheduled arrival was Great Western & Southern Airlines Dragon Rapide from Liverpool and Manchester, leaving for Brisol, Southampton, Ryde and Shoreham. Next arrival was Railway Air Services DH.86 Neptune from Croydon on route to Liverpool, Belfast and Glasgow.Sadly the onset of war curtailed further schedules from materializing. The ceremonial opening was carried out by The Duchess of Kent on the 8th July 1939. Other dignitaries consisted of Prime Minister Neville Chamberlain, Air Minister Sir Kingsley Wood plus 60 invited guests. Sadly the weather spoilt the opening with heavy rain and a low cloud base, prevented most aircraft from arriving. The air display to celebrate the opening consisted of Fleet Air Arm Skuas, C.40 Autogyro, Piper Cub, 8 Spitfires, Blenheim, Lysander, Hurricane, Whitney, Blenheim and Hampden bombers. Other visitors included the DH.95 Flamingo, DH.86, Rapides, Dragon and Dragonfly. Two months after the opening Elmdon was requisitioned by the Air Ministry and all civil flying ceased. The 14th Elementary Flying School for the RAF and Fleet Air Arm took up residence with Tiger Moths. Close by Austin built a factory on the North side of the railway line. The factory was used for the final assembly of Stirling bombers and later Lancaster bombers. 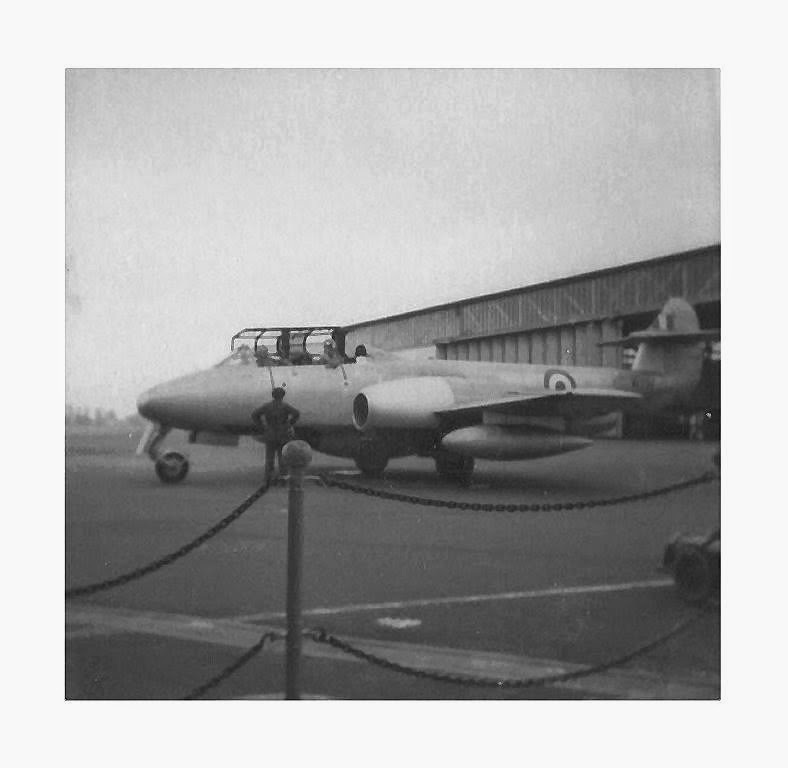 The aircraft were towed to the Elmdon site via a bridge over the railway line for test flying. The grass runways had been replaced by two concrete ones. 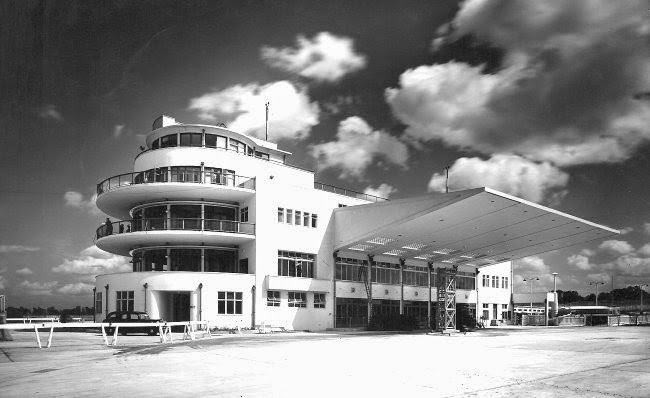 The airfield stayed under military control until 1946 when it was handed to the Ministry of Civil Aviation. It was the late 1940's before scheduled services re-commenced again. 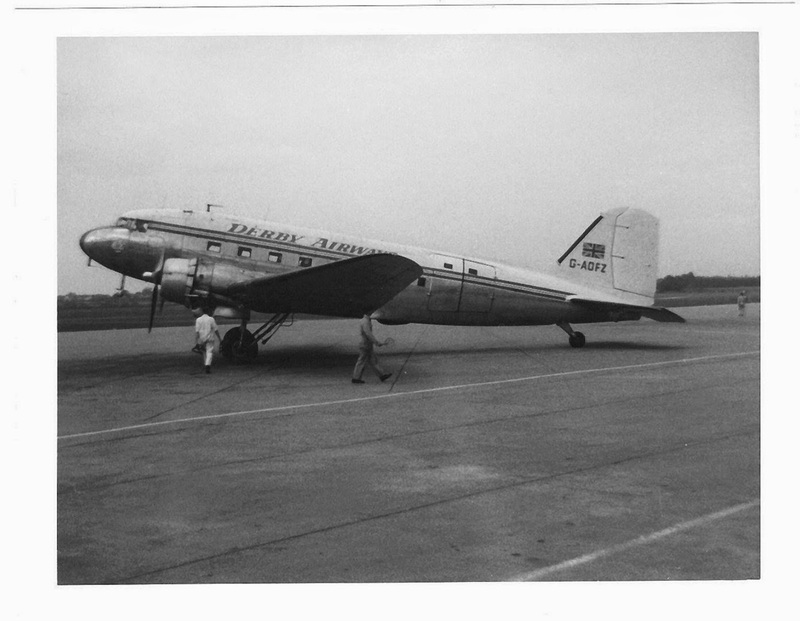 A number of small companies operated flights to destinations such as the Isle of Man, Isle of Whight,the Channel Islands, Blackpool and Weston-super-Mare. A variety of aircraft were used on the flights from Austers to Dragon Rapides. 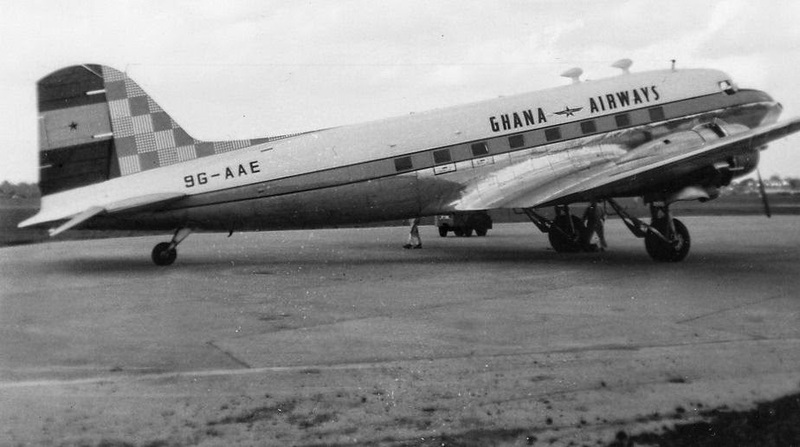 British European Airways (BEA), controlled all domestic traffic and gradually took over the more profitable routes. 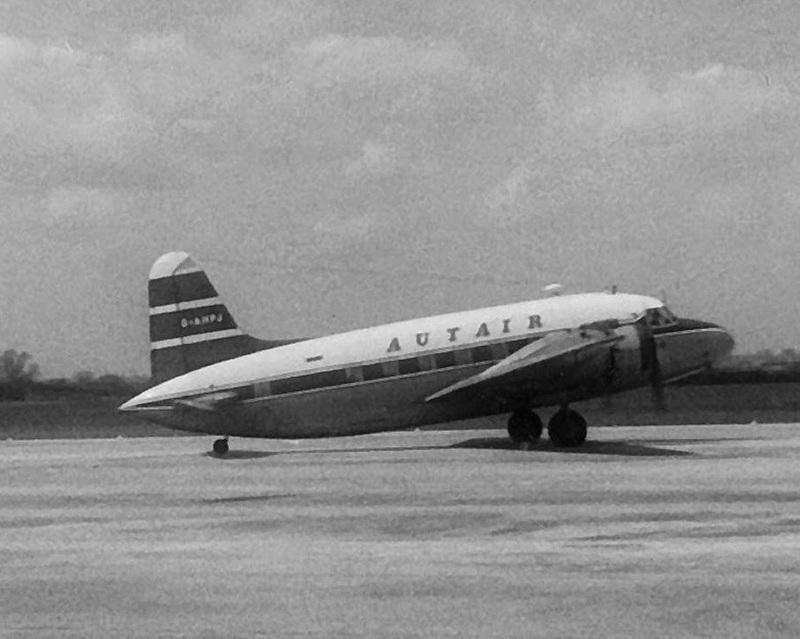 1949 saw the first international route to Paris, operated by a BEA Dakota G-AHCU. The service was poorly supported and other Continental routes were ruled out. In 1949 Aer Lingus introduced a service to Dublin again using the Dakota, EI-ACL operated the 1st service. In contrast to BEA woos, the Dublin service proved to be a great success. 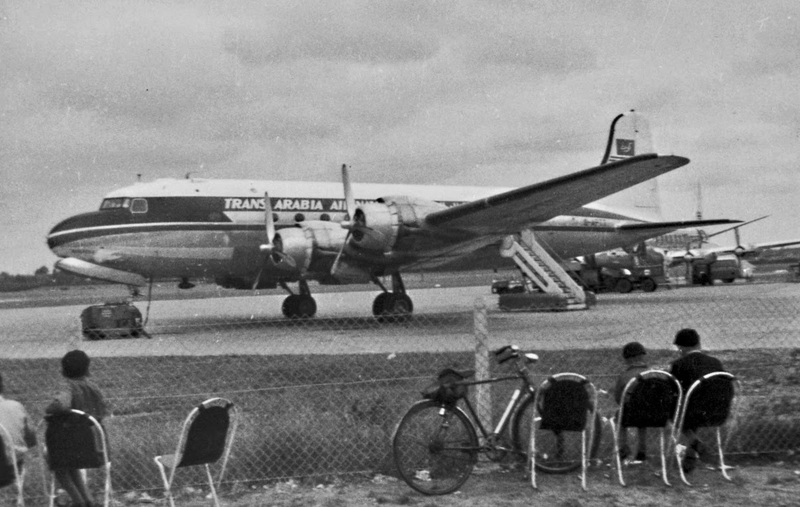 Despite the poor support for the Paris service, new services were gradually introduced using Dakotas to Belfast 1950, Jersey 1950, Glasgow (via Manchester) 1952, Edinburgh (via Glasgow) 1953, and Northolt 1953. Again services were poorly supported resulting in cancellations or additional stops. 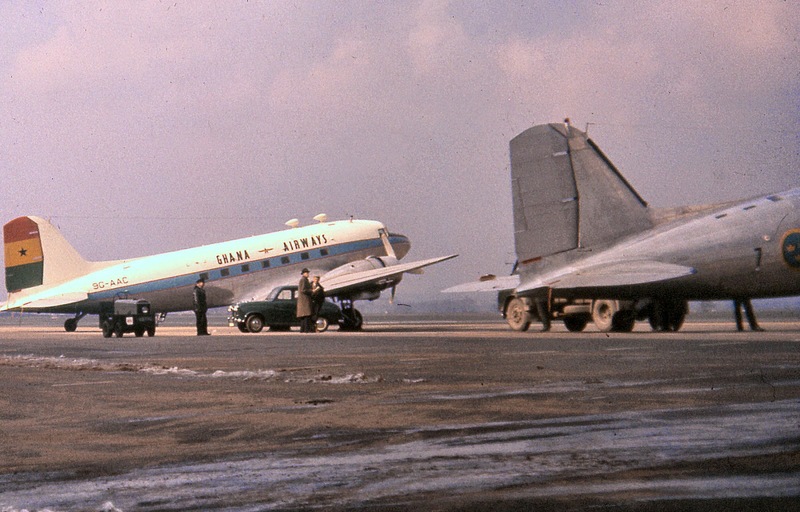 From 1953 the Paris service originated from Manchester and saw the Dakota being replaced by Airspeed Ambassadors on the route. 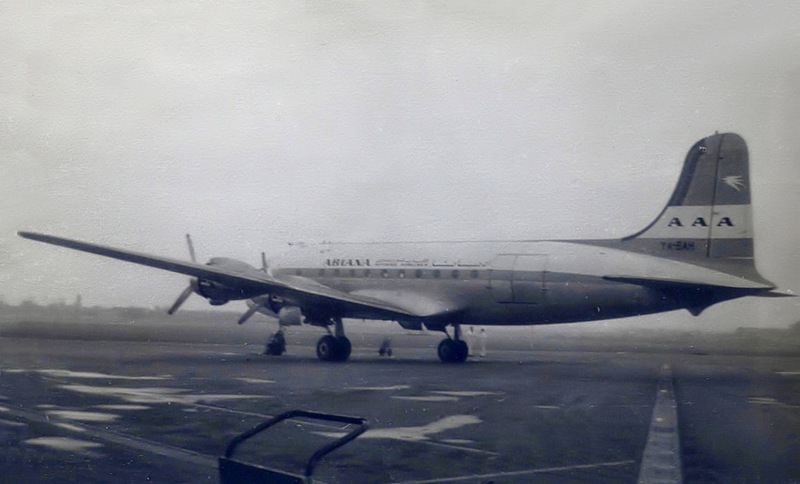 In 1954 BEA replaced the Ambassadors with the Vickers Viscount on domestic services and its International route to Paris, cutting the flight time to just 75 minutes. 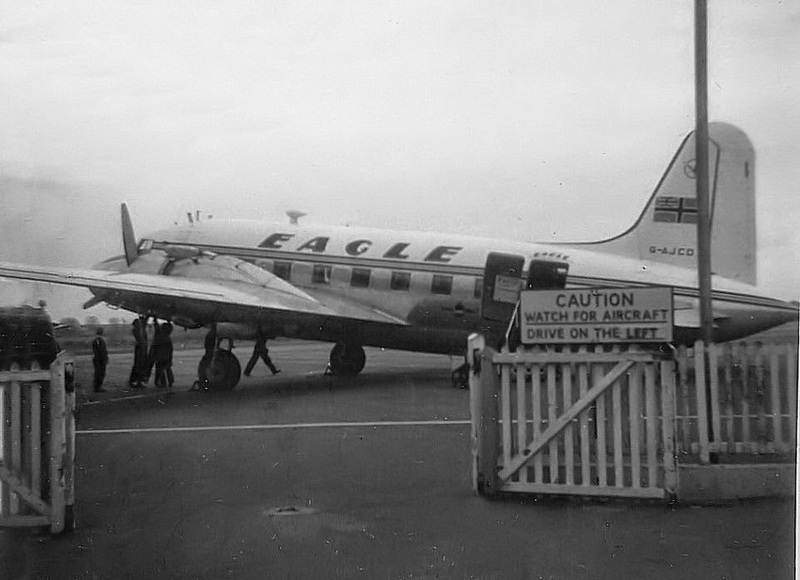 1954 saw Aer Lingus also replace the Dakota with the Vickers Viscount, flight time on route was 50 minutes. 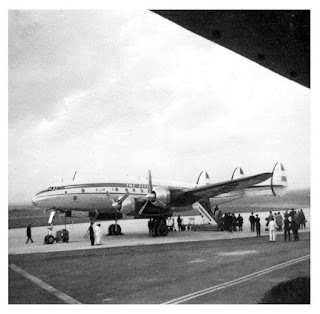 By 1956 BEA had introduced the Viscount on new services to Dusseldorf and Zurich. 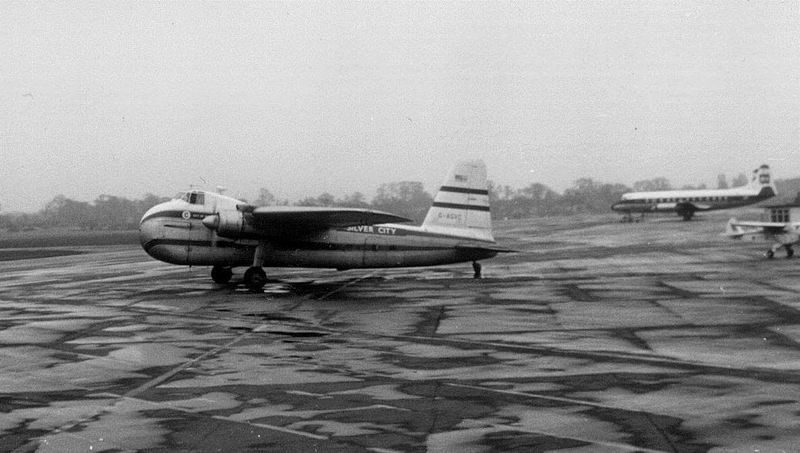 However the downside of Viscount services to the Continent was Elmdons runway length, it could not support fully laded operations. During 1958 the runway was extended by 800ft and Continental services suspended, re-commencing in 1959 when the extension was completed. Over the coming years flights were added to Amsterdam, Barcelona, Basle and Milan.